In addition to being part of the Hudson River National Estaurine Research Reserve, Iona Island and its associated tidal wetlands ahve been designated a National Natural Landmark by the National Park Service. In this program, Doc Bayne sheds light on this fascinating island in preparation for our "Walk through History" on May 12. Doc explores the island's forgotten history, from its prehistoric Native Americans occupation through the colonial farms and settlements of Salisbury, and then Weygant's, island, as Iona was known. In the late 1800s, the island attracted tourists with an amusement park, hotel, and picnic grounds. 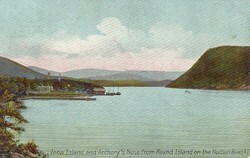 Iona served as a major U.S. Navy arsenal from 1900 to 1965. When the Palisades Interstate Park Commission took possession in 1965, much of the island and surrounding marshes became a wildlife preserve. About the speaker: A retired New York State Forest Ranger, Doc Bayne has been the environmental educator and historian for Sterling Forest State Park for many years. 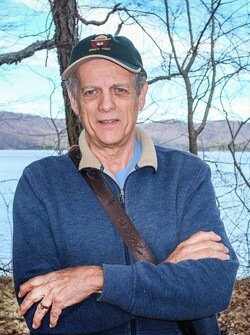 He is the president of the Friends of Sterling Forest and a member of the Historical Society of Greenwood Lake (New York), where he makes his home. He also serves on the Board of Directors of the Orange County Historical Society, and the boards of the Fort Montgomery Battle Site and the Incorporated Orange County Chapter of the NYS Archaeological Association.